Stay for two nights and receive 50% off your second night’s stay. Offer is valid until 30 June (terms and conditions apply). 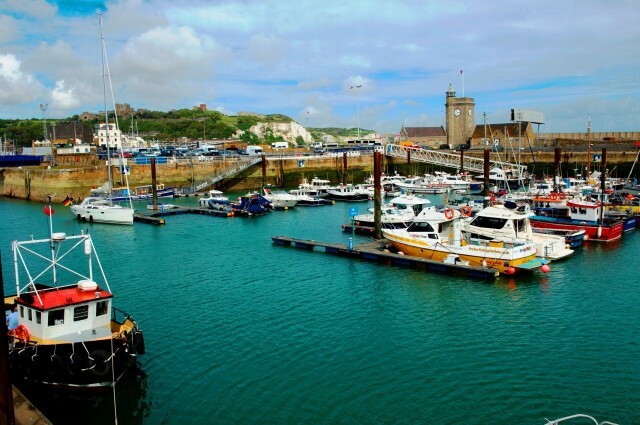 To book phone 01304 241663 or email marina@doverport.co.uk quoting code DOVMAR2NIGHTS. Check with the marina before arrival due to ongoing developments. When such a vessel was inward bound between the Medway Buoy and Darnett Ness the light shone in an upriver direction. When such a vessel was outward bound between Darnett Ness and the Medway Buoy the light shone in a seaward direction. 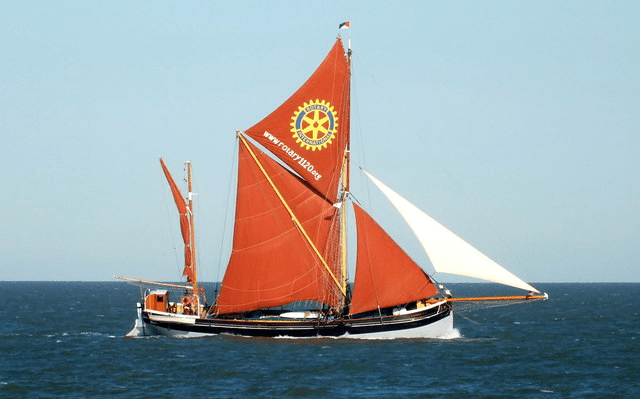 Sailing Barge Cambria needs you! To get the Sailing Barge Cambria ready for this year’s season, the Cambria Trust urgently needs volunteers. This is a unique opportunity for everyone (mums, dads, children, grandchildren, nephews, nieces, sea scouts, sea cadets, even air and army cadets, etc) to get personally involved with the Cambria. Volunteers are vital to preserve our great maritime heritage. Full details including contacts are on the Cambria Trust website and you can watch some great videos on YouTube. Chatham Maritime Food and Drink Festival will take place over the bank holiday weekend on 27-29 May. It’s a free-to-enter three-day event featuring local artisan food and drink producers, live music in the bandstand, Dragon Boat racing, a funfair, watersports and a charity fun run. We’re going to be joined by 15 of the original Dunkirk Little Ships as part of their commemorative cruise. They’re all members of the Association of Dunkirk Little Ships, and will be moored in Old Royal Dockyard Basin 1 in Chatham Maritime – a beautiful and inspiring sight. Owners will be on hand to chat to visitors about their very special boats during the festival. Everyone is welcome to a memorial service by the Ship and Trades pub on Sunday 28 May at 11am. We’ll also be joined by 20 Dutch barges from The Barge Association with members of the Rochester Symphony Orchestra doing some concerts on one of them on Saturday 27 May. 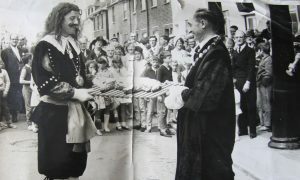 This year is the 50th anniversary of the official handing back of Queenborough by the Dutch. A ceremony was performed at Queenborough on 17 June 1967. The town will be holding a celebration of this on 17th June 2017 and it is hoped to make it an annual event. 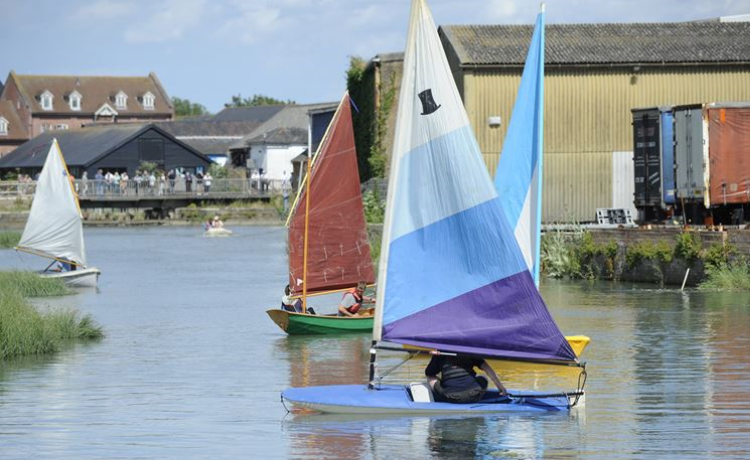 There will be a boat flotilla with changing of flags at midday plus events throughout Queenborough: Live bands, Treasure hunt, Stalls, Magic, Bouncy Castle, Fancy dress and Re-enactments. All are invited – please help to make this a memorable day! All proceeds will go to the local lifeboat station. For more information, visit the Queenborough Independence Day website. We are sad to report that Ron Judd has died tragically. He fell from a ladder whilst working on Nepos in Gillingham Marina last Thursday. He was air lifted to London but he never regained consciousness. He had extensive head injuries and life support was turned off on Friday evening. Ron was a member of the Medway Motor Yacht Club, which was a member of the MYA. Details of the funeral can be obtained in due course from Nigel Jennings, past Commodore of MMYC, on 07775 701631. 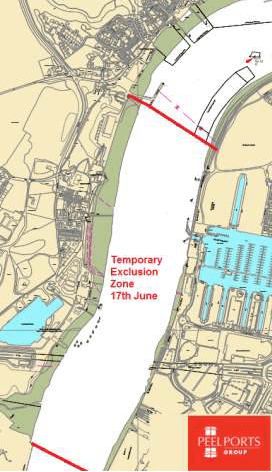 On the evening of 17 June from 21.40 to 22.40, a Temporary Exclusion Zone will be established from a line drawn perpendicularly across the river from Upnor Jetty (51°24.56´N 000°31.80´E) to a line drawn perpendicularly across the river at Whitewall Creek (51°23.90´N 000°31.40´E) as shown on the chartlet (left). Between these times no vessel shall navigate, anchor or be secured to a mooring buoy, within the area, without the express permission of the Harbour Master. Pontoons will run between the barges positioned on the west side of the river. Medway VTS will broadcast the start and completion of the exclusion zone on VHF 74. Mariners are reminded that no vessel shall navigate at a speed above 6 knots through the water Westwards of Folly Point. The MSBA visitor charts (one for the Medway and one for the Swale) have been updated for 2017 and can be downloaded from our Navigation page or here. The charts show the locations of most MSBA members and key visitor attractions. We recommend you print this document double-sided on A4 and then laminate it. If you are visiting the Medway for the Battle of Medway events in June and have been allocated a guest mooring, you can find its location on this chart. In addition to the delay in repairing the lock wall, a pair of Grey Wagtails have made a nest in a key part of the construction site. The contractors are unable to work near the nest until the young birds have fledged. The earliest date for the lock to re-open is now 21 July. The footpath and canoe portage remain passable. 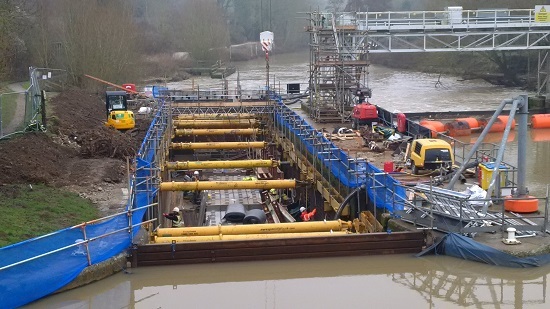 UPDATE: The fledglings have now flown so the lock is expected to open by 21 July. The people of Faversham have voted by a large majority for the Creek Neighbourhood Plan, which was a condition by Swale Borough Council for the release of £200,000 to restore the swing bridge at the head of the Creek. Opening the bridge will enable regeneration of the Creek Basin, with wharves and dredging, to improve navigability along the Creek, increase tourism and make the area a great place for residents too.